RSS is an easy way for you to keep up-to-date automatically without having to go to a website to look for the latest updated content. BizWorldUSA.com publishes the following RSS feeds, each containing new business for sale listings, business opportunities, franchises for sale, and other information pertaining to buying and selling small to mid-size businesses. You can also view the latest business for sale listings from specific categories, type, range, and / or locations that you are interested in, as soon as they are published on BizWorldUSA.com without having to visit the site every day. If you would like a custom feed (by type and/or location) of businesses for sale to display on your website please contact info@bizworldusa.com or 415-234-8833 one of our RSS specialists will contact you. Why RSS? Benefits Of And Reasons For Using RSS? RSS solves a problem for people who regularly use the web. It allows you to easily stay informed by retrieving the latest content from the sites you are interested in. You save time by not needing to visit each site individually. What do you need to read an RSS Feed? Feed reader or news aggregator software allows you to grab RSS feeds from various sites and display them for you to read and use. Yes you can. You need an RSS newsreader to be able to get RSS feeds. 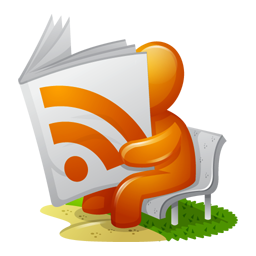 RSS newsreaders allow you to collect and display feeds. Just choose which RSS feeds you want, click on the RSS icon to subscribe to the feed, and it will automatically retrieve updates. You get new content as soon as it is published. How can I get a newsreader? There are many different newsreaders available. Most newsreaders are applications that you download and install on your computer. Others are web-based services you sign up for that work inside your browser. How can I subscribe to RSS feeds? Once you have downloaded and installed your feed reader, go to the RSS feed at the top of this page. Right click on the RSS button and select “Copy Shortcut” or “Copy Link Location” to copy the address (URL) of this feed. Go to your feed reader and follow the instructions for adding a new feed.